Skyfall (2012) is the twenty-third spy film in the James Bond film series. It features Daniel Craig in his third performance as James Bond, and Javier Bardem as Raoul Silva, the film’s villain. The movie was directed by Sam Mendes. The story centres on Bond investigating an attack on MI6. The attack is part of a plot by former MI6 agent Raoul Silva to humiliate, discredit and kill M as revenge against her for betraying him. The film sees the return of two recurring characters to the series after an absence of two films: Q, played by Ben Whishaw, and Moneypenny, played by Naomie Harris. Skyfall is the last film of the series for Judi Dench, who played M, a role that she had played in the previous six films. 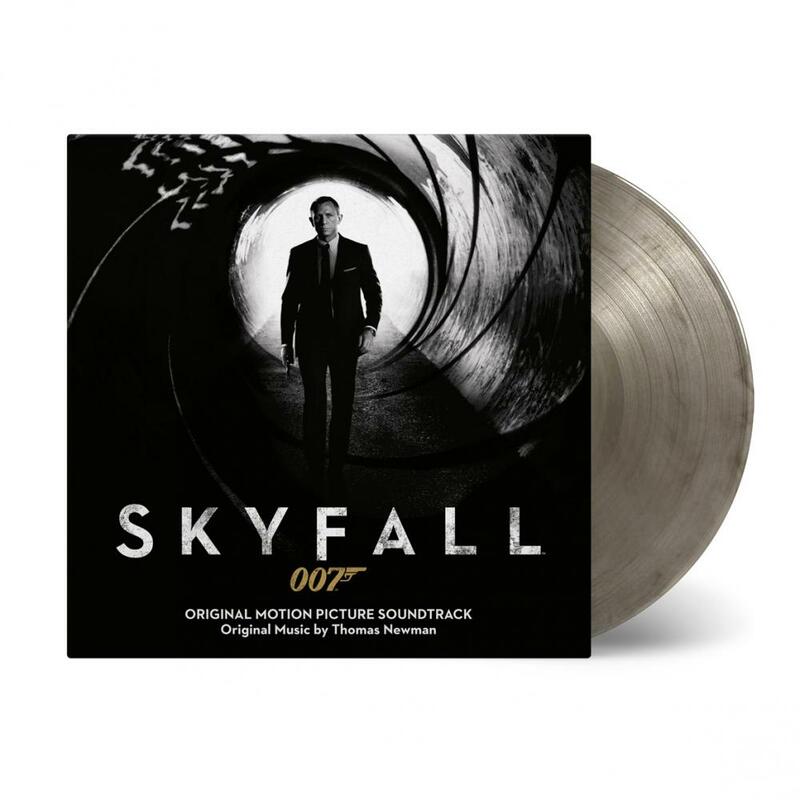 The limited edition of Skyfall of 1.500 individually numbered copies is pressed on coloured (transparent & black mixed) vinyl. The package includes a big poster, a 4-page insert and 2 printed innersleeves. Both innersleeves have one hole in the middle to show James Bond on the labels. Don’t forget to check the secret service inscriptions on the run out grooves.